WATCH! 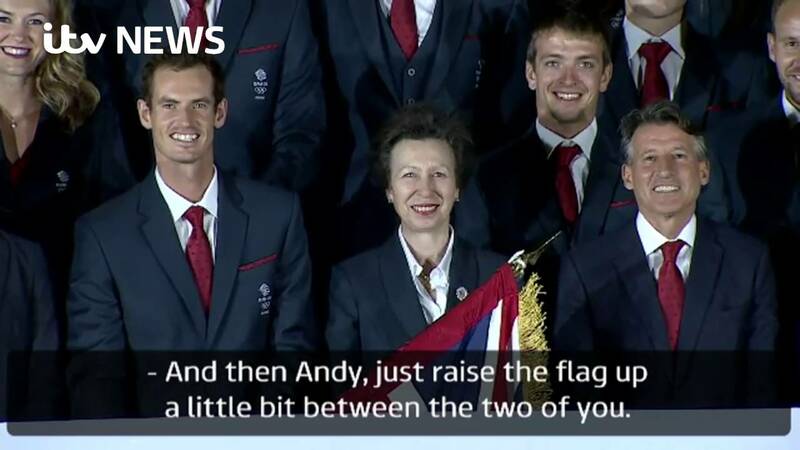 Andy Murray FAILS At Flying The Flag For Britain And It's SO Awkward! Oh Andy, it's not THAT hard is it? Andy Murray is more used to lifting trophies, so it probably makes sense that he had a bit of trouble lifting a flag on Thursday. The Wimbledon champion was given the honour of being the flag bearer for Team GB at the Rio Olympics but his starring role didn't quit go to plan. A hilarious new video sees the tennis player struggling to fly the Union Jack for the first time when taking centre stage. It all started off so well! Read more: Embarrassing Celebrity Photoshop Fails! Dressed in his smartest suit, with his hair perfectly slicked, proud Andy looked delighted to be representing the nation in the company of some high ranking officials and members of the royal family. Unfortunately, he didn't hold the flag with as much ease as he would a tennis racket and things soon take a turn for the worse. 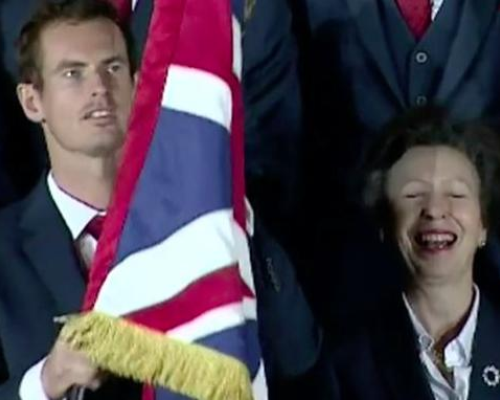 Poor Princess Anne gets a face full of flag when Andy abruptly brushes it past her face, then his arms appear to lose all function when he struggles to lift it.